Dietary health supplements has generated a lot of buzz in large chunks of worldwide populations who want to lose weight. Weight loss supplements are used notably for non-body building purposes. Growing epidemic of obesity in global population is a key driver for the demand for weight loss supplements. Growing numbers of people in developing and developed countries over the past couple decades have had varied experience with the intake of weight loss supplements. The popularity of an array of herbal-based weight loss supplements continues to rise in developed countries such as the U.S. In recent years, weigh loss supplements entered into a largely emerging market of Asia Pacific, as more and more people in developing economies grew aware about these supplements. Weight loss supplements are likely to spawn into billion-dollar industry. However, the evolution of the global weight loss supplements is increasingly influenced by the prevailing regulatory frameworks in various key regions. Unarguably, the framework isn’t clear and robust. In the backdrop of the paucity of tighter regulations, most manufacturers of weight loss supplements are proactively concerned about the adverse drug reactions. In various parts of the world, the weight loss supplements market has been witnessing growing instances of these challenging the safety of their consumption among end users. The hepatotoxic nature of some well-known weight loss supplements is a case in point, especially among patients suffering with cardiovascular diseases. This has spurred widespread concerns among health care providers in general and patients in particular in the toxicity profiles of weight loss supplements. Such concerns are likely to unlock promising potential in the global weight loss supplements market. Obesity has been a long-standing concern for several decades but until recently, it had remained mostly limited within the developed countries. However, now overweightness has seeped into a number of emerging economies too wherein urban populations are drifted onto sedentary lifestyle and observe unhealthy food habits. As the percentage of overweight people increments, a number of research activities have undertaken the task of developing supplements that can help in reducing weight and the market for the same is primed for a prosperous future. According to the findings of this business intelligence study, the demand in the global weight loss supplement market will expand at a healthy CAGR during the forecast period of 2017 to 2025. This market research report on the weight loss supplements market, has been compiled by experienced research analysts and aspires to assist in business decision making of its targeted audiences. Representing the value of the market in terms of US$ Million and forecasting until 2025, the report analyzes all drivers and restraints that will determine the demand in-flow in the near future. 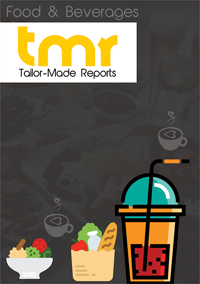 The report also segments that weight loss supplement market to present the profitability of small aspects, gauges the potential of demand of every important region and country, and profiles a number of key players in its featured chapter on competitive landscape. Growing ubiquity of smartphones and deepening penetration of social media has helped in radically improving the awareness levels regarding the availability of supplements that can go a long way in controlling weight among individuals. These information are now available freely to the masses and the uptake of calorie and fat burning and healthy snacks is on the rise. The trend of fitness as a personality development has also engulfed the urban populations and as a result, consumers are now opting for dietary meals and other supplements that help in improving immune systems and increment muscle mass. The consistent introduction of innovative products that go hand-in-hand with the restless lifestyle of urban population is expected to open new opportunities in this market in the near future. Products such as yacon root syrup has proven its worth in weight management and growing demand for wellness products is anticipated to boost the demand for weight loss supplements over the course of the aforementioned forecast period of this report. In addition to that, relentless market strategies by major players to increase visibility of their products as well as boost sales via online channels is another factors increment the potential of the weight loss supplements market. On the basis of product form, the market can be segmented into powder, soft gel and pills, and liquid, whereas end-user bifurcation can be done into senior citizen, men, and women. Distribution channel categorization can be done into pharmacies, health and beauty stores, retail outlets, online sales, and others. Ingredient-wise, the market for weight-loss supplements can be segmented into botanical, amino acids, vitamins and minerals, and others. The developed country of the U.S., wherein more than one-third of the population is categorized as obese by the Centers for Diseases Control and Prevention (CDC), is expected to sustain North America are the most profitable region in this market. However, the awareness levels are furiously expanding across vastly populated emerging economies such as China and India, which will open great new opportunities for the stockholders of the market. GlaxoSmithKline, Abott Laboratories, Amway (Nutrilite), Glanbia, Pfizer, Herbalife International, American Health, Nature’s Sunshine Products, Stepan, and FANCL are some of the notable companies operating in this market.